Leave the noise and frenzy behind. Journey to the silent places of God’s heart. Jeanie Miley has discovered a way to avoid the trap of living from crisis to crisis. The person who depends on God leads a balanced life. Miley offers skills to develop such dependence and intimacy with God. Workable guidelines and exercises help readers broaden devotional lives and overcome barriers to deeper spirituality. 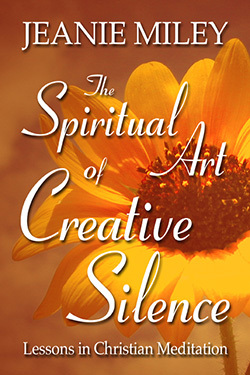 Jeanie Miley is a writer and columnist, a retreat leader, and speaker on topics of spiritual growth and contemplative prayer. She is the author of ten books and has written a weekly newspaper column, “Growing Edges,” for thirty-three years. Trained at the Spiritual Direction Institute in Houston, Texas, Jeanie has read and studied broadly in the areas of spiritual growth and is a spiritual director. Her work rests, as she says, on a “four-legged stool”—Bible study, the Twelve Steps of Alcoholics Anonymous, contemplative prayer, and Jungian psychology. Jeanie teaches a popular women’s Bible study at River Oaks Baptist Church in Houston, Texas, and at other sites in the Houston area. She is a frequent retreat leader for groups across the country. Visit www.jeaniemiley.com for more information.